When Jason’s pickup tires first begin sliding across the gravel of the country road, he is still his small town’s high school prize running back and one of the school’s “A-list” popular kids. He is looking forward to one more year of high school and then, he hopes, being picked up by a Big Ten team. But after the Jaws of Life tear him from the wreckage of his drunk-driving accident, he wakes up post-surgery in the University of Iowa Hospital’s long-term pediatric ward, wondering if he will ever walk again. Bobby McGin only wants one thing out of life, to be a normal teen with normal friends. But when your last-possible round of chemo fails to stem the spread of the tumors ravaging your body’s soft tissue, it’s hard to be normal. 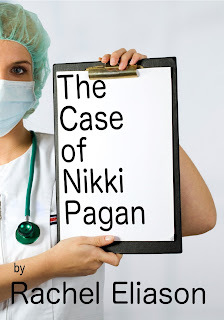 Nikki Pagan is the glue that holds the two boys together. She is a bright and precocious fifteen-year-old girl. Why is she on the long-term ward? Why won’t she talk about what is wrong with her? And why is it so important she follow “the rules for being Nikki”? This book was published by the author. Add your review of "The Case of Nikki Pagan" in comments!